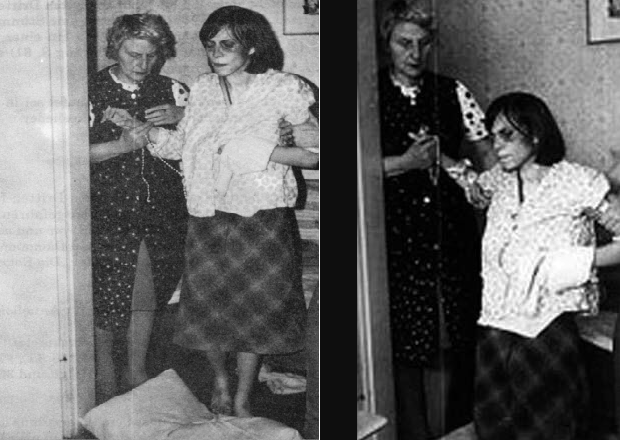 Just like the woman who inspired The Exorcism Of Emily Rose, Anneliese Michel would become infamous for her tragic fight with "demons." Anneliese Michel/FacebookAnneliese Michel as a young child. 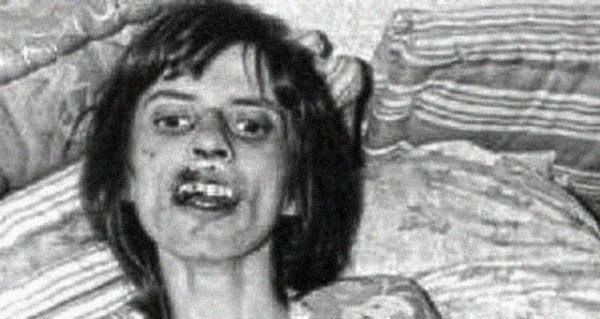 Though many may not know it, the horrifying events of the 2005 film The Exorcism of Emily Rose were not entirely fictional but rather were based on the actual experiences of a German girl named Anneliese Michel. Temporal lobe epilepsy can also cause Geschwind syndrome, a disorder marked by hyperreligiosity. Anneliese Michel/FacebookAnneliese Michel during college. Finally, she and her mother found a priest, Ernst Alt, who believed in her possession. He stated that “she didn’t look like an epileptic” in later court documents. Anneliese Michel/FacebookAnneliese during the exorcism. Anneliese wrote to Alt, “I am nothing, everything about me is vanity, what should I do, I have to improve, you pray for me” and also once told him, “I want to suffer for other people…but this is so cruel”. Alt petitioned the local bishop, Bishop Josef Stangl, who eventually approved the request and granted a local priest, Arnold Renz permission to perform an exorcism, but ordered that it be carried out in total secret. Exorcisms have existed in various cultures and religions for millennia, but the practice became popular in the Catholic Church in the 1500s with priests who would use the Latin phrase “Vade retro satana” (“Go back, Satan”) to expel demons from their mortal hosts. The practice of Catholic exorcism was codified in the Rituale Romanum, a book of Christian practices assembled in the 16th century. By the 1960s, exorcisms were very rare among Catholics, but a rise in movies and books like The Exorcist in the early 1970s caused a renewed interest in the practice. Over the next ten months, following the bishop’s approval of Anneliese’s exorcism, Alt and Renz conducted 67 exorcisms, lasting up to four hours, on the young woman. Through these sessions, Anneliese revealed that she believed she was possessed by five demons: Lucifer, Cain, Judas Iscariot, Adolf Hitler, and Nero. 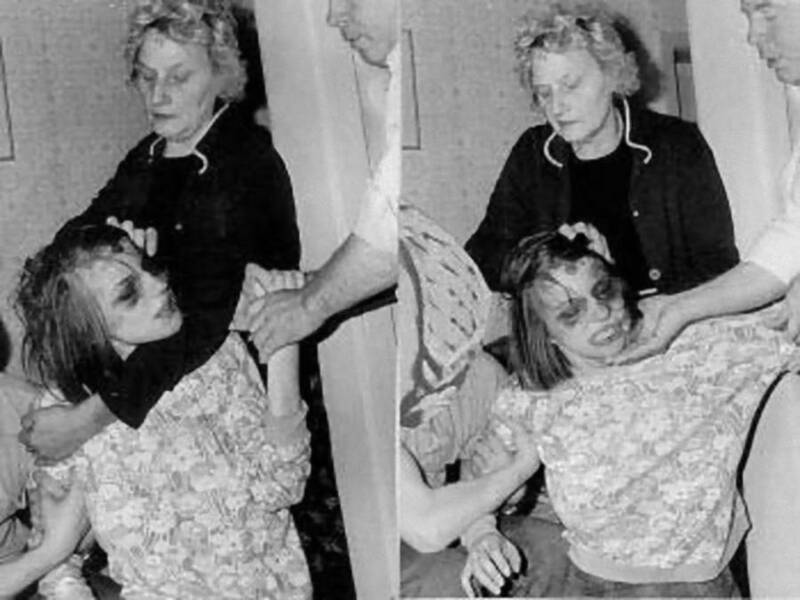 Anneliese Michel/FacebookAnneliese Michel being restrained by her mother during the exorcism. They argued with each other, with Hitler saying, “People are stupid as pigs. They think it’s all over after death. It goes on” and Judas saying Hitler was nothing but a “big mouth” who had “no real say” in Hell. She broke the bones and ripped the tendons in her knees from continually kneeling in prayer. Over these 10 months, Anneliese was frequently restrained so the priests could conduct exorcism rites. She slowly stopped eating, and she eventually died of malnutrition and dehydration on July 1st, 1976. Anneliese Michel/FacebookAnneliese continuing to genuflect despite her broken knees. 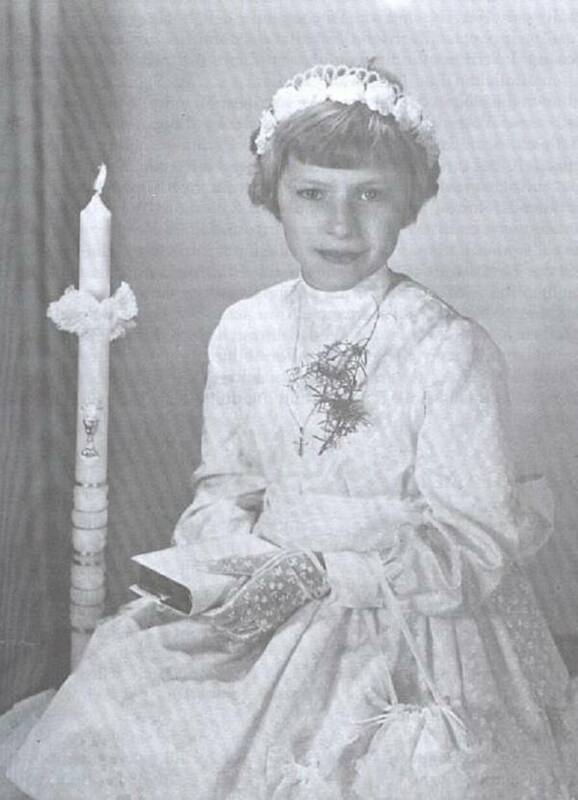 After her death, Anneliese’s story became a national sensation in Germany after her parents and the two priests who conducted the exorcism were charged with negligent homicide. They came before the court and even used a recording of the exorcism to try to justify their actions. The two priests were found guilty of manslaughter resulting from negligence and were sentenced to six months in jail (which was later suspended) and three years of probation. The parents were exempted from any punishment as they had “suffered enough,” a criteria for sentencing in German law. Keystone ArchiveAt trial. 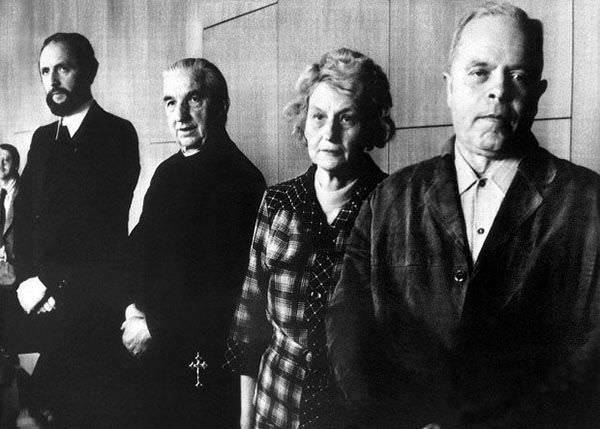 From left to right: Ernst Alt, Arnold Renz, Anneliese’s mother Anna, Anneliese’s father Josef. Following the trial, Anneliese became an icon for some Catholics who felt modern, secular interpretations of the bible were distorting the ancient, supernatural truth it contains. “The surprising thing was that the people connected to Michel were all completely convinced that she had really been possessed,” remembers Franz Barthel, who reported on the trial for the regional daily paper the Main-Post. 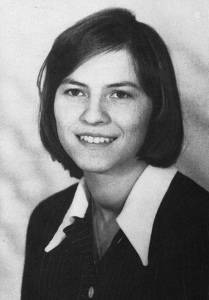 While she may be a source of inspiration for some religious people, the story of Anneliese Michel is not one of spirituality triumphing over science, but of people who should have known better than allowing a mentally-ill woman to die. It’s the story of people projecting their own beliefs, hopes, and faith onto a woman’s delusions, and the price that was paid for those beliefs. After reading about Anneliese Michel’s fatal exorcism, learn about historical “cures” for mental illness, which include vomiting, exorcism, and drilling holes in the skull. Then, read the true story of Bloody Mary, the woman behind the mirror.